Greater St. Luke Baptist Church was founded in 1924 under the leadership of Rev. Thomas Jefferson Martin. Rev. Martin, a sanctified preacher, was instrumental in getting a group of Sunday baseball players to lay down their balls and bats and pick up hymnbooks and Bibles. The ball players had come to live in Madison County as sharecropping farmers and had begun to raise their families. L.T., Walter, Harry, and E. S. Hobson all came from Hardeman County and had been members of Mays Hill Baptist Church. The brothers were famous baseball players known throughout the area. People came from far and near to see them play. And since a good game was the only source of livelihood, it is understandable why Rev. Martin had a difficult job convincing the men to quit playing ball and have church. The Hobson Brothers, their wives and children (along with many other good brothers including Mr. T. T. Bingham) got together at a brush arbor to have church. When the word spread that there would not be any more ball team, it was unbelievable. Many came out of curiosity and others to see if it was true. The curiosity seeks eventually found themselves united in worship. The first public meeting was held in an old church previously owned by whites. Outdoor meetings were also held, but they finally moved into a small one-room wood frame building on the spot where the church presently stands. This property was purchased November 10, 1941 from Della Payne Brown and Hannah Henley for the amount of $200. The church finally had ownership in property that it could call its own. It was later on that the pioneer members decided to tear down the old wooden building which had served them well to make way for a cinder-block structure. Many years later, the cinder-block structure would eventually give way to the current two-floor structure. Greater St. Luke was located on an old dirt road and not very many people lived in the area. Dirt from the wagons and cars could be seen as they made their way to the church each Sunday. Another one of the “Old Faithful” members, Mother Pearl Harris, loved to sing “A Charge to Keep I Have” as she sat in the mother board corner of the church. The rafters shook from the praising of the Lord. It didn’t matter whether they were in tune or not, it was all about giving God the glory. This small group of faithful members banded together to keep church going. Back then, when revival was held, the children were let of school since school was held in the same building. It was a tradition that revival was held in the afternoon and again at night. The church kept moving forward and additional old faithful soldiers were added to the congregation. Among those was Bro. Charles Emory Taylor. He and his wife, Della, had moved to Jackson from Brownsville and united with Greater St. Luke. After several years at Greater St. Luke, Bro. Taylor’s personal testimony that is that at one time he was ready to leave the church, but God had other plans for him. “God would not let me leave,” he said, “and L. T. prayed for that me not to leave here”. God’s plan always came out on top. Bro. Taylor needed a place to live because the landlord had other plans for the house he was in. He searched and thought he had found a house in East Jackson in the community known as “Onion Field”. The house was empty and had a “for sale” sign in the window. When he got his money together and went back the next day to buy the house, overnight it had been sold. He started praying. God answered his prayer a few days later by leading him to a house on Wallace Road and he found himself now living within 500 feet of the church. Bro. L. T. told him again, “See boy, God don’t wan’cha leaving here.” It was God’s Will for L.T., Walter, Emory, and the rest of the “Old Faithful” to stand firm and keep the church together. Once upon a time, there was an attempt to rebuild the church using cinder blocks (concrete blocks). The old building was constructed of wood. The first time the blocks started going up, they fell. The builders tried again. Again the blocks fell. The faithful few were becoming disheartened and wanted to give up. Bro. L. T. and Deacon Taylor said it was time to pray because they didn’t want to see this church fail. They prayed. The third time the concrete blocks started taking shape, they stayed. The current location also holds historical significance. A school that existed at the site was one of the first “colored” schools to be incorporated in the Madison County School System. One of the students who attended that school still worships at this church today—Mrs. Gussie Hobson Savage (a.k.a. “Ma Gussie”). In 1952, conflict within the congregation caused a separation. A portion of the congregation that left started their own church and took the name “New St. Luke”, and the continual saints at the original location called themselves “Greater St. Luke”. The name was proposed by Sis. Ida Pearl Harris who served as secretary for the church. Sis. Harris, the wife of Bro. Albert Harris (a deacon), along with the Hobson Brothers and T. T. Bingham, are all deceased as well as many other warriors who helped to sustain this congregation. Greater St. Luke has undergone many face-lifts since its establishment. It has been blessed with growth that has necessitated the need for renovations. In the early 70s the congregation still worshipped in the building from the 50’s. It was a small sanctuary with wood floors, brown wooden pews, and a balcony. The back of the church behind the pulpit consisted of a choir room to the south side, a pastor’s study to the north side, and a very large Sunday school classroom in the center with stairs that went to the basement which was then one large open area with a sawdust floor which was eventually covered by concrete. Small gas heaters heated each room upstairs with floor furnaces in the sanctuary. Renovations were done to the sanctuary and the back part of the building behind the pulpit. This consisted of adding a baptismal pool, converting the large classroom to a larger study for the pastor, a copier room for the church's first copier. The duplication process for bulletins and programs prior to the copier was done on an old electric mimeograph machine. The basement area was partitioned off with classrooms and a separate area for the kitchen. Also during this renovation, new pews were purchased; a hard wood floor was installed in the sanctuary along with green carpet. The first organ was purchased and a new upright piano was bought to replace the old one that one sat in the middle of the then-split choir stand. During this time, the church also purchased its first church bus from Sikeston, MO. The bus was then painted green to match the interior of the sanctuary. After a few years, that bus was replaced with one purchased from one another church in the city. In 1983-84, GSL underwent extensive renovations. The sanctuary was enlarged; the front section of the church was demolished which did away with the balcony. The design that is here today was completed in 1984. These renovations included new pews, pulpit furniture, and the enlargement of the choir stand. During this time, GSL retired the bus and replaced it with two burgundy Ford vans. In 1995, another massive renovation and addition took place. The pulpit and choir stand got another overhaul that enlarged the pulpit and choir stand. This construction included an education wing with classrooms, a new pastor’s office, children’s care center, and health room, library, choir room, finance office, and copier room. Also, the parking lot was enlarged and encompassed a large portion of the west campus. In 1997, the church took advantage of the opportunity to gain expansion potential by purchasing the residential property located south of the church at 105 Wallace Road. In 1999, the house and vacant lot on the north side of the church at 138 Wallace was offered for purchase. A unanimous vote by the congregation was made to purchase that house and property. On December 6, 1999, only the empty lot only was purchased in case the church needed an additional parking area. The year 2001 saw the back portion of the church’s property on the west side of the church was cleared of brush and landscaped to allow for further expansion possibilities. In 2006 the house located at 105 Wallace Road was razed due to the deteriorating condition of the dwelling. On May 9, 2002, the house and property located at 123 Wallace Road was purchased. As of this purchase, GSL’s expansion possibilities are enormous. The grounds surrounding that property were landscaped and brush cleared away adding more visibility to the main church campus. Today, Greater St. Luke (a.k.a. G.S.L.) has grown from a meager brush harbor to a large structure with growth still continuing. The church has undergone rebuilding, several renovations, and additions since its beginnings. In the near future the construction of our multi-purpose family life facility along with the implementation of several new programs will be done. We are continually acquiring real estate tracts to allow us to have even greater growth potential. GSL became known for the powerful preaching by Rev. Anderson who became pastor in 1968, as well as the music ministry under the leadership of descendants of the Hobson Brothers. GSL is also known for its many ministries and activities that encompass all age levels and ranges from sports to scouting and more. In 2000, the church celebrated its 75th Anniversary. In 2003, three deacons were added to the Deacon’s Ministry. They were installed on March 23, 2003. Those gentlemen were Bro. Willie Flakes, Mr. Howard Ingram, and Bro. Huston Martin. In June of 2006, the old church marquee which has served the church for over 35 years was replaced with a new one which enhanced the front view of the church. In 2007, fire destroyed that sign which was also replaced. In October of 2007, the GSL Family learned from Pastor Anderson that he was going to retire ending 40 years of service. In March of 2008, he was given a grand retirement gala at our sister church’s banquet facility (New St. Luke Baptist Church). The pulpit was declared open and a new pastoral search implemented. After many months of the search process, Rev. Marvin S. Hall, Sr. stepped into the pulpit on the first Sunday in September as our new pastor. Another milestone came in the form of the 2010 retirement of Bro. George Hobson who has served as organist and minister of music for over 40 years. He and Sis. Gussie Savage are among some of the longest reigning musicians in the county. In January of 2011, Minister Derek Hall became the second Minister of Music for the Music Department and its ministry. Also the property located at 109 Wallace was acquired from the Hobson Family, further expanding the church’s real estate ownership. In March, 2012, Minister Jackie Burn became the third Minister of Music for the music department. Minister Burns also was joined by Mr. Terrence Carpenter as assistant Minister of Music and vocal trainer. The GSL Family is blessed to have such a rich history. 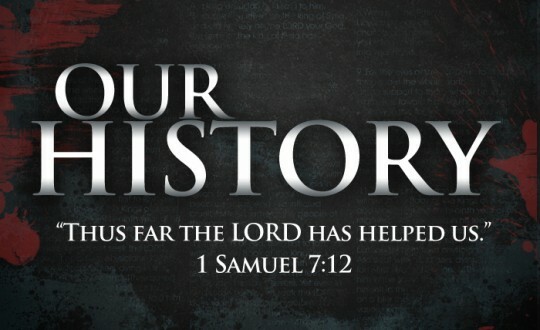 Thus this is the history of Greater St. Luke Baptist Church. AMEN.